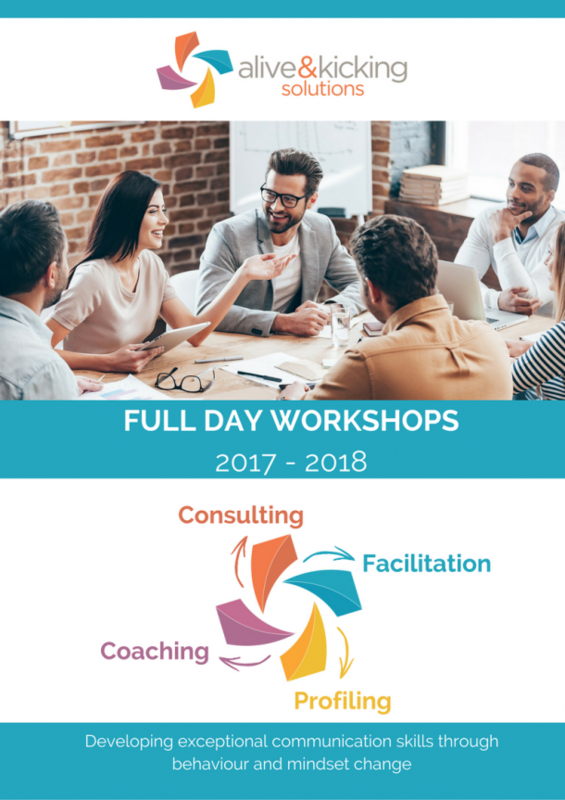 This highly interactive and practical workshop has been designed to explore challenging workplace conversations and the reasons that conversations can present as difficult. Using your own examples of situations you find difficult, you will map your own communication plan with our 7 step guide to Having Challenging Conversations, leaving with a replicable and easy to implement process that means you will never shy from a challenging conversation again. People who need strategies and practical, ready to use solutions to confronting challenging conversations head on in their workplace. The objectives for this session are to explore challenging workplace conversations and confront the ‘hard to say’ topics with expediency. We will look at the reasons why conversations present in a challenging way – and why it is critical that we develop the skills to manage these interactions brilliantly. The practical part of workshop will provide ample practice for participants and an Alive & Kicking Solutions Facilitator will provide individual feedback to all participants. Gain tools and techniques for managing the process, the logistics, and the practical elements of a difficult conversation.